The government introduced two new tax-free allowances for individuals on property and trading income in the Finance (No. 2) Bill 2017. Although these two separate allowances were designed to help simplify the UK tax system, applying these allowances can be surprisingly complex in practice, particularly for individuals with small incomes, . Below, we outline what you need to know about the new allowances and whether they are right for you. What are the new allowances? 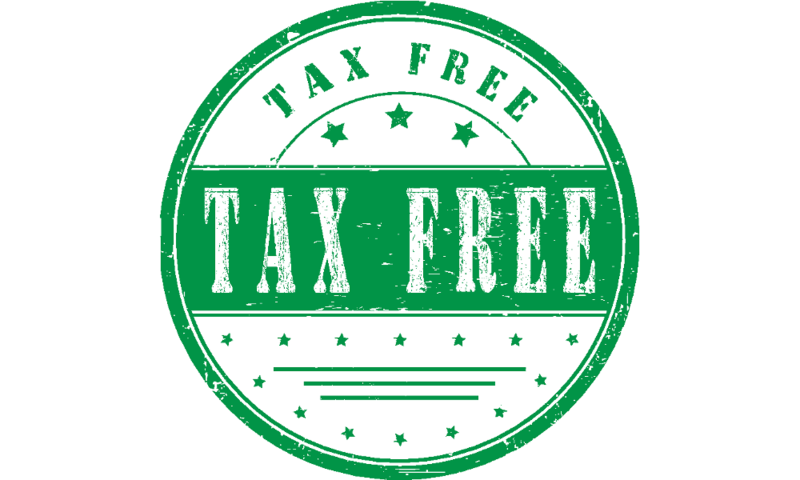 From 6 April 2017, there are two separate £1,000 tax-free allowances for individuals. One allowance is for trading income, whilst the other is for property income. Use of one allowance does not exclude the use of the other. This means that if you have both property and trading income you could potentially be entitled to a £1,000 allowance for each type of income. The trading allowance is available to individuals who derive trading income from their sole trade and/or any casual work they may do, for example gardening or dog walking. The allowance also applies to certain types of miscellaneous income you may receive from providing assets or services. Please note that the trading allowance is not available for any trading income derived from a partnership. There are two types of relief available under the allowance: full relief and partial relief. Full relief is available where total trading income is less than the £1,000 allowance. Where this is the case, the full relief will be applied, meaning that the income will be deemed to be nil and will not be subject to tax. Note that the relief is calculated on the total amount of income (i.e. turnover) not the amount of profit. If full relief is used, then you don’t need to register for Self Assessment with HMRC or file a tax return, unless you wish to do so voluntarily or must file a tax return for another reason. Full relief is usually applied automatically if you meet the criteria. However, if you do not want the full relief, you can elect out of it. It is worth highlighting that, should an individual elect for partial relief, they cannot deduct any other expenses. This means that, in certain cases, individuals with trading income of over £1,000 would be better off not using the trading allowance at all. You can change which approach you use on a year-by-year basis, so you can always pick whichever deduction method best suits you in a given tax year. Note that, where your gross trading income does exceed £1,000 per year, you should also register for Self Assessment with HMRC. You can use the trading allowance regardless of whether your business uses an accrual (i.e. GAAP) or cash basis. However, if you are eligible for full relief, there is one additional consideration. If the amount of income calculated under GAAP is over £1,000, but the amount of income calculated under the cash basis is less than £1,000, then the cash basis wins out, entitling you to the full relief. This means that, should you wish to continue calculating your income under GAAP, you would have to elect to not receive full relief. The property allowance is a separate £1,000 tax exemption available to individuals that have relevant property income. Generally, this includes income from UK and overseas property businesses, as well as commercial and residential letting income, subject to some exceptions (see below). Where property is jointly held, each of the owners is eligible for their own £1,000 allowance. The property allowance works in the same way as the trading allowance. This means that, where annual gross property income is equal to or less than £1,000, an individual is entitled to full relief. Where this is the case, the property income does not need to be reported to HMRC. If annual gross property income exceeds £1,000, then that income will need to be declared. As with the trading allowance, any election to use the property allowance means that no other expenses may be deducted, and the choice of which deduction method to use can be made on a year-by-year basis. However, one notable restriction of the property allowance is that the allowance cannot be used on any income generated under the rent a room scheme. It can be quite easy to fall foul of these exclusions. For example, if a sole trader works as a painter, and their spouse’s employer purchases a painting, then that sole trader will be unable to use the trading allowance for the whole tax year, regardless of how much that single painting was sold for. It’s therefore important to keep track of where income is being derived to ensure that you will qualify for the allowances. When can I claim the allowances? The trading allowance and property allowance came into effect from 6 April 2017, and first applied in the 2017/18 tax year, which ended on 5 April 2018. This means that this will be the first time that sole traders may have to report the income or property allowance in their tax return if they are required to file one. If you need any assistance in completing your 2017/18 tax return, it is best to speak with an accountant for advice. If you wish to take advantage of either the trading or property allowance, then you should also keep a sufficient record of your income, even if you are eligible for full relief. Although it may seem counterintuitive to have to keep records for income that does not always need to be reported to HMRC, it is important to maintain good records and to hold such documents for the necessary period of time. HMRC has the power to charge penalties if your records aren’t accurate or complete, so it’s in your best interests to have such documents adequately stored and protected. Although on the surface these two new allowances appear to benefit sole traders, the reality is a little more complicated. Professional bodies, such as the Association of Taxation Technicians, have highlighted that the new trading allowance in particular risks putting some sole traders "at a disadvantage compared to the employed and those trading in partnership". This is because the legislation looks at a sole trader’s total income from all relevant trades when determining what relief is available under the trading allowance. For example, if you work as a sole trader providing educational services, but do some babysitting on the side, then you would need to add together your income derived from both trades when considering the trading allowance. If total income then exceeds £1,000, full relief will no longer be available. This may be problematic for sole traders that do not wish to use partial relief, perhaps because they are better off deducting the expenses generated in their main sole trade rather than use the £1,000 allowance. By contrast, if an employed teacher took up babysitting for a source of extra income, then they would still qualify for full relief, provided their babysitting income was less than £1,000. This is because income from employment is not considered to be trading income. As a result, it seems as though the trading allowance may not be of much use to an established sole trader that decides to conduct a new microbusiness. In this way, the legislation appears to fall short when it comes to helping its intended beneficiaries. Although the introduction of the trading and property allowances will be welcomed by sole traders or employed individuals with microbusinesses that generate less than £1,000 in income each tax year, unfortunately, the legislation does not go far enough to help established sole traders that also run microbusinesses of their own. Further, the legislation itself can be unwieldy at times, particularly when it comes to the consideration of whether a business uses GAAP or the cash basis. Additionally, some sole traders with income above £1,000 per annum will find themselves better off deducting their expenses as they always have done, rather than make use of partial relief. Nevertheless, the new allowances have the potential to positively impact some sole traders, with HMRC estimating that the new allowances could benefit up to around 700,000 taxpayers. If you need any help deciding whether you should use the trading allowance or property allowance, contact your accountant for further advice.